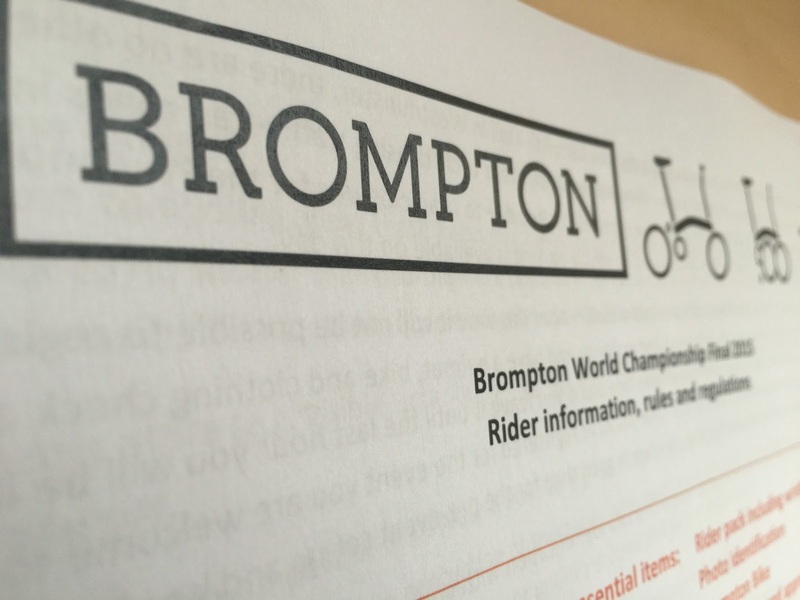 My Orange Brompton: 2015 Brompton World Championships Almost Here!! Well the premier cycling event bar none is almost upon us. My rider pack was received a few days ago and reading it had brought me to confront the fact that the one event I look forward to above all others is but a step away. Things are a little different this year at the BWC. First, location. The event, for the first time is being held in London. This is only fitting as it is a bicycle made in London. Iconic is not too strong a word to use. 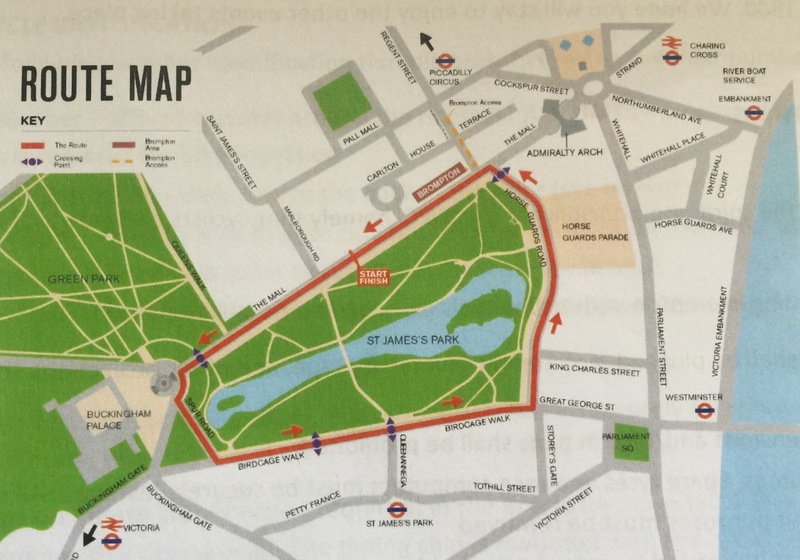 As I type this I can only imagine what it is going to be like racing in front of a much greater number of spectators. In addition heading down The Mall with Buckingham Palace in full view will be...well...incredible! In addition to the location, this represents the 10th Brompton World Championships and is therefore a rather important milestone. The actual race format is also different. Rather than in previous years it simply being a timed event, where all complete a set number of laps to achieve a time it took to complete the course, this year will see a criterion. This means that when the front runner crosses the line on their eighth lap, the race is over for all. Scary stuff! This year I feel the least prepared. Normally I'd be out doing some sort of training in the deluded belief that it might help my chances. I will have to rely on my current fitness to see me through. Regarding which Orange Brompton to take, this is easy. My Titanium Orange Brompton will be coming with me. The only thing I am still deliberating over is whether or not to stay with Kojak tyres? 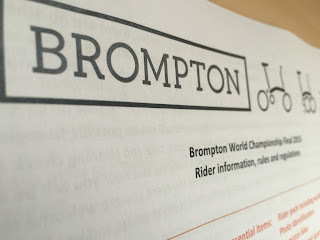 It is going to be an incredible event and it will be great for Brompton to showcase what their product is capable of. It will also display the passion Brompton owners (yours truly very much included in this) have for the company, the Brompton brand and their own bicycles. At the BWC I always find it amazing that many Brompton bicycles in the days leading up exist as commuter hacks but trasnformed at the BWC into racing thoroughbreds. How many other manufacturers of bicycles could say the same? If you are attending as a participant, guest or spectator one thing to watch out for is the 'game face.' This becomes more and more obvious the closer it gets to the start of the race. You'll see it in-between the smiles, banter, nonchalant glances at other participants and their bicycles. Some may utter the words, 'I'm just here for fun' and I suggest you watch them the closest. For everyone taking part, I wish you the very best of luck. If you are a reader of this humble blog and attending in any capacity, do find me, come over and say hello, I'd love to meet you however don't leave it too late as I am in the first group to go and believe me, I'll have my game face on!! Your pink Brompton buddy from across the pond will be here cheering you on!